Prepare to learn some special YouTube video marketing hacks! 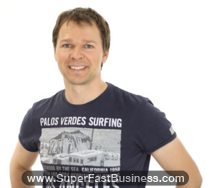 Gideon Shalwick from Rapid Video Blogging shares plenty of cool stuff in this podcast. James: James Schramko here and today’s guest is a video expert and in particular, video traffic and that is a very exciting thing. Welcome Gideon Shalwick! Gideon: Hey James, good to be on the call. James: Now, you’re world-renowned for blogging and for video. Which one is your passion? Gideon: Video by far, but really both. Actually it’s video blogging, so it’s a combination of the two. James: Right, so you’re a video blogger. Is that a vlogger? Gideon: I guess you could call it that. The term vlogger didn’t really seem to stick in the blogosphere or in the world. Video blogging seems to be the one that people use more often now. But yeah, you could call me a vlogger if you want to. James: I’ve seen you in iTunes. You actually have video iTunes podcast. Tell me how that works. Gideon: That works really well, James. It’s one of the strategies that I used for getting more traffic. One of the complementary and automated strategies that I use. My main method is to use YouTube for getting traffic, as the main traffic source using video at least. And in iTunes, getting a podcast for iTunes is a nice complementary thing that happens for me automatically. Basically, the way it works is that I create my value-added little videos, throw them onto YouTube, at the same time I upload those same videos or an MP4 version of that to my Amazon account. I link that to my blog, which is also the RSS feed being submitted to FeedBurner into iTunes. And so what that means is that every time I have a new video or a video blog post, the same video goes into my iTunes feed, so that my followers there can watch those videos there as well. So it’s pretty cool. That opens it up to sort of the Apple-kind of audience. Anybody who’s on iTunes can watch that video there and check out my stuff. James: Do you get stats in your FeedBurner account as to how many people view those videos? Gideon: I probably do, but it’s not something I keep an eye on. Last time I looked at it, it was round about a quarter of my audience in terms of subscribers were from iTunes, so it was a significant following that I was able to gain through there. And I guess what was really cool about that was that it was something that happened automatically. It’s not something that I had to do much for extra. It was literally just adding that link in there and setting up the RSS feed through FeedBurner at the beginning to have a little setup and running. But now, every time there’s a new video, it just goes in there and it attracts more of an audience for every single time that I do it. James: This is one of the things that I like about blogging and having iTunes podcasts is that you can set these things up once and once you’ve got the system, you can use them over and over again. I’d love to talk about your process. Gideon is sitting there with a camera and some lights, and I think you do this from your garage now? Is that right? Gideon: [Laughs] I’ve progressed a little bit from the garage into one of our bedrooms. James: [Laughs] You’ve moved in the house! Does that mean it’s profitable now? That’s usually the sign. I was allowed to graduate from the bedroom to have a whole room in the house when we started making enough money to pay for a much bigger house. Gideon: I was able to use one of our guest rooms that we have in the house. It’s big enough, but I just found the sound is a lot better in the room than it is in the garage. In the garage, you got all sorts of issues with the sound reflecting off walls. It sounds like you’re in a hall a little bit or even worse, you’re hearing the cricket sounds outside through the garage door. And of course, it’s very difficult to isolate or insulate for sound the garage door. So I decided, oh stuff that, I’ll just move to the bedroom where I can close the door. It’s pretty insulated in there. The sound is just superb so that works really well now. But yeah, I do have a process. I guess this is something that I really try and focus on, what I teach. I’ve been able to really get a ton of a following just through using this process and being able to automate it to a certain degree. I’m a big fan of automation and this is why I developed this system. James: Then we can post it on the InternetMarketingSpeed blog. Gideon: Okay cool. What we’re talking about here is, the first stage really for me is to come up with the idea and the idea for the video. That normally doesn’t take too long, depends on the topic but I just do a mindmap or a brainstorm to try and figure out a good catchy value-adding idea that I want to create for my audience. The next thing is to go to my studio, because it’s all set up. I just turn the camera on and turn the lights on, essentially hit record and start speaking. Once I’m done, I hit stop, turn the lights off, grab the little SD card from my camera. The next stage is I walk up to my computer, upload the video file to my computer and convert it to the right format that automatically gets uploaded through my Dropbox to my video editor in the Philippines. He goes ahead, does the editing for me and sends me a draft. Maybe there’s one or two fixes, then he’ll send me a final. I’ll take that final and upload it to YouTube, add some copy to my YouTube video, then my job is done. So far in this process, I’ve just come up with the idea, the recording and upload it to my computer. The editing, that will be done for me. What then happens next, through my virtual assistant is very powerful, it’s sort of where the magic happens. My video then automatically gets transcribed. Sometimes it gets transcribed before I upload it to YouTube. Sometimes my virtual assistant can get access to the video file or the audio version of that file, so they can transcribe it. That all gets turned into a blog post, so I don’t even create my own blog posts anymore. The video gets taken from YouTube, gets embedded into my blog post with a transcript and also the link to the video on Amazon, that also gets done by the virtual assistant. The next stage in the process is to basically do some search engine optimization on that. What I mean by that is essentially start creating some backlinks to that video on both YouTube and my video blog. With that process I’ve got a little sass and I’m only really there for standing in front of the camera and doing a little bit of copywriting on YouTube. The rest all gets taken care of automatically for me. James: Nice! It’s a good process there, Gideon. When you say copy for the video, let’s just dig in it to that a bit. On YouTube, you’re talking about the words that go in the video description and the title, is that right? Gideon: That’s right, yes. That’s very important to get that right. I’m not sure what our audience’s level of education for this sort of topic. Maybe you can help me, James? James: I think we have a pretty intermediate to advanced listener base for InternetMarketingSpeed. They’ll be well familiar with tags and keywords. Gideon: Okay great. You’re familiar with that sort of thing and the blogging world, it’s not too much different in YouTube. Your title, your description and your tags are sort of very similar to what you’d have with just normal blog posts. What’s critical though is that you get these things right. When people search for your videos on YouTube, they’re not going to find it unless you’re targeting the right sort of keywords. That’s the number one thing that you got to get right. Do your keyword research. Make sure you pick the right kind of keywords that are actually getting some traffic and that you can rank for, and then you use those cleverly inside your title, your description and your tags. This is just basic stuff, but the guideline is that you try and use your keyword that you’re trying to rank for or your keyword phrase right at the beginning of your title. That’s very, very important, YouTube even test that themselves. We’ve tested this ourselves but YouTube also came out recently with that. Just right at the beginning. Same thing in the description area, you can add your keyword phrase there, but I think the importance with your description area is to make sure you treat that like a blog post pretty much. Don’t just add a bunch of keyword phrases and keyword-stuff it. That’s not really going to help you, but throw your main keyword phrase in there just like you do with a normal blog post, maybe at the beginning, somewhere in the middle and somewhere towards the end. Naturally, what you’ll also do by writing a normal blog post type of description is that you’ll have other keyword phrases in there naturally as well. YouTube and Google love that. And of course, for your tags, do the same thing. YouTube says this as well, repeat that same keyword phrase that you want to rank for right at the beginning inside the tags area. Basically what they’re recommending is adding as many keywords you can. I think you’ve got 120 character limit in the tags area, so you might as well fill it up, but fill it up with your most prominent, most important keywords first. They do get extra preference, but think about more related keyword phrases that you can use as well. That’s what I mean by copywriting for the YouTube video, just getting the title right, the description and also the tags. That’s kind of like your on-page SEO optimization that you need to do for each and every video that you upload to YouTube. James: Gideon, you used the YouTube embed on your own blog as the player. Is that right? James: What determines that choice? I know that some people like to load their own videos up. I do sometimes. I’ve used YouTube videos, Viddler videos, my own ES3 players. What caused that choice? Gideon: There’s a number of benefits of doing that. With the system that I teach, it basically all works together nicely. If you do a search for some of my keyword phrases that I try to rank for, because of the way that I’ve got it set up, not only do I rank for my YouTube videos from YouTube in Google but I also rank for my blog posts on my blog. And what’s interesting is some of my videos on my blog, in the same way that you often see these YouTube thumbnails in the Google search, what started happening is that my normal blog posts started having instead of just a text entry in search engine, it would have a thumbnail entry. Now, I didn’t even have a video sitemap for my blog, just YouTube and Google must have figured out that this is an authority blog with videos on it and just went and grabbed some thumbnails from those videos, which is very encouraging. So what it means, often I can get two thumbnail results for the same content on the first page of Google, which is very powerful. And I believe it’s because of the way I’ve got it set up. I embed the videos on my blog, so the SEO stuff is one benefit. Another benefit that I’ve found is that if you’re building both your YouTube channel and your video blog in parallel, eventually your video blog, which is just a WordPress blog with videos on it by the way, but that starts gaining in PageRank and becomes an authority blog in and of itself. Getting a high PageRank links back to your videos is very important for getting more traffic and ranking in the search engine. If you’ve got a pretty nice blog, I think mine is sitting at 4, it was sitting at 5 for a while, if I embed a YouTube video on that blog, that immediately gives me a PR 4 or 5 link back to my video automatically. Well, not automatically. I’ve got to do it but I mean I don’t have to go and search for other blogs to add that embed code to. It gives me that immediate benefit, which then in return helps my videos rank better on YouTube and Google as a result. I know what you’re trying to get at here, because the big question that I get from people is what if something goes wrong with YouTube account, it gets terminated or whatever? Does it mean you basically lose all your videos and your whole blog with some pretty funny messages from YouTube? And that’s a valid concern, especially if you’re in the internet marketing niche and you try to rank for phrases like “how to make money online.” I really recommend you do not try and rank for those, you’ll get terminated. What do I try to say here? I think you can cover yourself in many ways. One way that I do it is just to have all my videos on Amazon S3 as well or another video sharing site so if something does go wrong, it’s not too much trouble for me or, not me, my virtual assistant, to just quickly go through and add new embed code to the blog. For me at this stage, the benefits of having YouTube video on the blog out ways the drawbacks of not having it on there. James: Nice! You’re making interviewing very easy, Gideon, cause you ask and answer my questions [laughs]. Couple of other questions that I’m sure would be of interest. With your videos, how do you actually decide what you’re going to talk about? Have you found some that get watched a lot more than others – a recipe or a formula that you have? Gideon: Yeah, it’s actually quite a complicated recipe, James. It goes something like this. Basically create content that your audience wants [laughs]. That’s really what it comes down to it. I catch myself out time and time again, and you’d think I’d learned the lessons but I don’t seem to very well. Just recently, I introduced a new video series that I thought would be pretty cool, that I thought would be valuable to my audience, that I thought I have this cool experience that I want to share with my audience. In some cases that can work well, but what I forgot to do was to think about my audience and think about what it is that they really want, what is the content that they subscribed for originally and that they want to learn from me. I got a few interesting responses from people along the lines of getting “Gideon, pretty much just stick with what you were doing before. We were loving that, and keep on providing us the information that we’re really here for.” I think what you’ve got to do is find out from your audience what it is that they want. I lied before, it’s actually quite simple but it’s not necessarily easy to figure that out. James: It’s always obvious isn’t it, in hindsight? Gideon: It is in hindsight, and it’s simple too, but not easy, because if you’re starting YouTube channel, at the beginning you’re not going to have a following so how do you know what people want? You’ve got to look at other ways to try and figure out what people want, and one way to do that is to do a bit of research on YouTube within your area of interest or within your niche. Look at what other videos are performing well. Look at the kind of videos, the kind of content, the kind of topics that are doing well, and start off with those and start building your own audience. Once you have your own following then it becomes a lot easier, then you can actually survey people or you can just have a video where you ask them what the heck do you want? What do you want me to create content on? James: We did something pretty cool with our TrafficGrab videos. We put trackable links with an Analytics tracking link and we could actually found out which videos converted into sales. And we started making more of those particular videos. So sometimes the ones that convert sales aren’t necessarily the most viewed, but they’re the most converting videos so it helped us figure out what people actually were most interested in. Gideon: That’s an excellent point, James. A lot of people go to YouTube and they might start a channel and only get a few thousand views, maybe a few hundred views on their videos. They get all discouraged and stuff and they go well, I’m not successful or my videos, my channel is not doing well, blah, blah, blah. Why am I not getting a million views like all these other videos? The reality is that, if you just – you may have to double check the stat, but it’s something along these lines – if you’re getting more than 1500 views on your video, per video, you’re getting more views than something like 80 percent of videos on YouTube. That’s a very eye-opening statistic for me, even though I may not be able to quote it quite exactly right, but it’s along those lines. James: But it does make sense. I got invited to be a partner last week for my InternetMarketingSpeed channel, and it was surprising to me because I don’t have that many views on that particular channel, just on my own name I think it is. Some of them may have 600 or 700 videos. Can you tell us about this whole partnership thing? It’s sort of new. I figured that I’d either get a slap or an invitation, but it’d either go one of two ways. Gideon: I was going to say you did well being invited to become a partner, especially with that sort of topic, the internet marketing type of topic. There’s been a bit of a slapping frenzy going on, on YouTube, which seems to be targeting internet marketers and getting rid of their channels. James: I’ve heard a lot about it. I’ve heard you interview one of our other friends, Dave, about his situation and I know a few big internet marketers who have had their channels slapped. Gideon: That’s right. I’m not 100 percent sure what’s exactly happening there, whether YouTube or someone at YouTube has it in for the internet marketers or whether it’s just being some sort of code sitting somewhere automatically deleting or terminating these accounts. I haven’t been able to get to the bottom of that myself. Maybe someone else has. If we get back to the partner question, the partner program has been around for a while now. Basically when YouTube started seeing some of their channels were performing pretty well, and so they decided to introduce the partner program where you can essentially partner up with YouTube and the AdSense program that they’re running. So basically when people watch your videos and ads get served on your video, you can get a share of that money that gets paid when people click on the link or even just when the link or the advertisements get displayed. That’s very exciting for partners at the beginning. There are a bunch of people making six-figure incomes just from a partner program on YouTube. A lot of people are making good money on that. What I want to say in that vein, though, is that from my experience and from the successful channels I’ve been able to run, the income from the partner program is actually really miniscule compared to what you can make if you know what you’re doing on YouTube. The partner program is comparable to having an AdSense ad on your website; you get paid cents per click or something like that. You compare that to a very focused affiliate promotion where you can get a lot more money. It’s similar on YouTube, if you’re able to use YouTube for traffic and for building your list, you can build a very powerful following who are very keen to see your offers and a very responsive audience. The money you can from selling your own products, for example, or selling affiliate products through your email list, can be a lot more than the money you can make through the partner program. In saying that, though, the partner program is awesome. If you can become a partner, it is fantastic. You become a little bit untouchable. For example, a wee while ago, Darren Rowse, very famous ProBlogger, in fact his website, his blog, is called ProBlogger.net, he got his account terminated as well. And when I saw that I was, “Wow! What’s going on here? Surely he’s a partner. What just happened?” I was a bit shocked, then I looked into it further and he wasn’t actually a partner. But one of his videos had the keyphrase “make money online” or something like that in the title, and as I was saying before, it must be some sort of algorithm thing. Just about a month before that, I also had a video on my channel that got suspended, but the difference was that I was a partner, Darren wasn’t. Only my one video got suspended whereas Darren’s whole channel got suspended or terminated. So being a partner, I think, definitely has some benefits. For example, in that case, I was protected. I was treated in a better way. There are other benefits. Branding benefits, for example. When you become a partner, you can put your own banner on your channel page and you can have some pretty cool links, a ninja strategy. You like ninja strategies, right? James: I like ninja strategies. Gideon: Now what’s cool about YouTube is that it’s relatively easy to build a pretty high-ranking page or a high PageRank type of channel. My own channel hasn’t been around for long and it’s sitting at PageRank 6. The magic channel that we have, I think that’s also sitting at PageRank 6. It took us about six months to get it to PageRank 6. When you’re a partner, you get some extra privileges. One of them is being able to add some of your own links on your channel page, and these links are dofollow links. They are only for partners. What’s more is that you can add your own anchor text as well. So you can have an anchor text dofollow link on your high PR YouTube channel linking back to your own site. So say you have a PageRank 6 channel for internet marketing, you can have a link on there on your channel page for a PageRank 6 link with a keyword phrase “internet marketing” or whatever you choose, which is pretty cool. James: That is cool. It’s a good tip. Gideon: If you know what you’re doing, you can create a bunch of different YouTube channels and have a bunch of high PageRank YouTube channels, get them to partner status and be able to have these nice high PageRank links with anchor text linking back to your site, which is very powerful. James: I had no idea about that. I just checked my FreedomOcean YouTube channel and it’s a PR3 and it’s only brand new. Gideon: There you go! So PR3, how long did that take you? James: A few months. We’ve only got 23 episodes but we have the same sort of system that you have. Every time we do a podcast, my ninjas come along and they take the MP3, they stick pictures to it, create a video for it, upload it to that channel, and then they backlink it. I think it’s the backlinks doing that because they have a bit of traffic grab process on it. Gideon: The backlinks will certainly help. There’s a bunch of other things that you can do, too. The other thing that I’ve noticed, on YouTube channels in particular, is there’s two things that you can do that can give you, I guess, some LinkJuice. If you look at YouTube channels, when people leave a comment on a channel, it has your channel name on their spot of the comment and if you have your little ninja tools out you can see that those links are dofollow links. Now, they’re dofollow links to another page within YouTube, but this is a good thing, just within YouTube. You can’t link outside of YouTube unfortunately. Fortunately for YouTube, unfortunately for us keen internet marketers. But at least what you can do is have a strategy where you leave comments on people’s videos and you leave comments on people’s channels and that creates a dofollow link back to your own page or channel. James: Which may have your keyword and your channel name. Gideon: Which may you your keyword and your channel name. There’s a bunch of benefits from this. Obviously there’s an SEO benefit or a potential SEO benefit. It’s difficult to test these things. I’m not a big testing person, so I can’t give you exact numbers on that. James: I think the fact that YouTube is so closely related to Google, it can’t be a bad thing if they think your content is good. Gideon: There’s something that is spectacular about it, James, because with our Free Magic Live channel, all we did at the beginning was create the videos, left comments on people’s channels, left comments on people’s videos. We didn’t have any kind of outside backlinking strategy and we lifted up to a PageRank 6 within about six months. The only thing that I could attribute to that was obviously great content but having those internal backlinks back to our channel as well as a result of those channel comments and video comments that we kept on leaving religiously and over time it just kept on building up. James: That is a hot tip! So you have internal YouTube linking strategy, and do you leave comments on other people’s blogs like video comments or video replies? Gideon: Video replies, that’s not something I’ve done much. I know it’s a strategy that works well but I’m kind of lazy. I just try to do the 80/20 type of thing. I’ve seen people use it very effectively. Absolutely, if you got the time and the energy to do that, go for it. What I would recommend you do there is instead of just looking at really popular videos and having a random video response that doesn’t even relate to the topic of the original video. James: Do you mean like spam videos? Gideon: Yeah, it’s just like spam. I think that’s probably a strategy that you could follow where you go and watch videos within your niche, you think about a clever response that relates to the content, and you have that as a specific video response to that specific content in that video. I think you’re going to get so much. The results are going to be so much better because obviously you’re going to get that internal backlink back to your channel but also, other people watching the original video will click on your video, they’ll watch it and if they like it, they’re going to subscribe. And they are going to keep on wanting to follow what you’re doing. If it’s a video that is totally unrelated, you’re not going to get that positive effect. James: This is nice. Just a quick recap. We’ve talked about having a system. We’ve talked about the way you’ve structured your video, podcast video, team, WordPress blog, how to get PageRank, and how to find out what videos to make. The two things we haven’t talked about is 1) equipment. It would be good to get it. Obviously, we can do this from our own home now. That’s very encouraging because just about anybody with access to a basic camera can make videos. Can you just give us the quick equipment synopsis? Do you need a lot of equipment? What’s Gideon running? Gideon: I’ll give you two options – one that is super affordable and one that’s if you’ve got a little bit more money, you can do it but it’s still extremely affordable compared to what the professionals use, where you can get some really stunning results. Basically, just before I tell you the equipment, my recommendation is just to use whatever you’ve got when you’re getting started with this. If you’re getting started with this, just use whatever you’ve got. James: Don’t use equipment as an excuse not to get started or to obsess about, right? Gideon: Exactly. You can use your webcam. You can use a site like – ah jeez! It just slipped my mind. Jing is one, but what’s the other one? It’s a really cool one but I haven’t used it for a while. I used it at the beginning of my blog where you basically record your screen through a web interface; you don’t even need any software, so there’s no excuse. It’s really easy. The name will come to me, I’m sure. If it comes to me, I’ll let you know. Gideon: No, not Camtasia. It’s a website. It’s a really cool one. You’ll love it. Just the equipment, if you want to take it to the next level, a Kodak Zi8 camera. That’s really cool because you can plug an external microphone into it, records in HD, records in mov file format which is really nice for both PC and Mac, and the file is nice and small. James: That’s what I use in my lab. Gideon: Beautiful! That’s a fantastic little camera. I really, really hope that they don’t go out of production. The flip has certainly gone out of production now, which is really sad. James: Yeah, Cisco just killed it. They just killed it off. And I was making my videos on a flip before and I went to the Kodak for the massive memory card and the external mic. Gideon: It’s a great camera. I think for web videos, I haven’t seen anything that really beats that camera, Kodak Zi8, for getting videos done fast and still looks great. If you want to increase your quality of the videos a bit, make sure you’ve got good lighting. I use some professional lights. In Australia, there’s a bit of an issue with using fluorescent professional lights. With the Kodak camera, even the flips, you might get a bit of a flicker because those sort of handycams or party cams are designed for America. They have a different power source, a better frequency over there. I they’re 60 Hz and we’re 50 Hz. When you use fluorescent lights over here, it could be a little bit of an issue there with flickering so you might have to stick with halogen lights which don’t flicker. But if you can get some good lighting, either fluorescent lights or halogen lights, if you’re recording inside, that can definitely make a big difference. If you’re recording outside, nice bright sunny days are obviously really good video lighting, the better your video quality is going to be. Make sure you’ve got a good microphone for your sound. There’s nothing more annoying than watching a video and the sound quality is bad. You can have the best picture quality but if the sound is bad, people are going to stop watching the video. There’s tripod, if you can get a tripod. If you’re recording yourself, that’s pretty handy. What else do I have? James: You’ve got a white backdrop. I saw you had a really good video about making that Apple effect – the white background, the nice lights. That was a good one. James: That cost about $1300, that video. Gideon: [Laughs] Really? Is that a good thing or a bad thing? James: That’s great! I went and got some amazing lights. I’ve got five lights here in the studio. I’ve got green screen, white screen and black screen. I’ve got a handful of cameras. I’ve got wireless microphones and wired microphones. Gideon: Excellent! I’ve got a different camera, as well. I’ll get to that in a second. But with the white background, to get that effect you can spend this sort of money. James has been spending on it, but there’s also a cheaper option. If you’ve got a white wall, you can do that as well. You can use other much more affordable lights too to get a similar effect, if you really are in a budget. I think there’s a video response on my video where it talks about how to get it done much cheaper. I think the result is not as good as we can get with the better lights and the better background, but if you are on a budget there’s an option there. If you want to take things to the next level, it’s not going to cost you all that much more and that’s to get a better camera. The camera that I use now mainly is a Canon 60D DSLR camera. If you’re not familiar with this, you’re probably thinking “what is he talking about? A DSLR camera? How can that be a video camera?” Well, these cameras are relatively a new thing on the video market. The YouTubers caught onto this kind of first and the small film makers; they found these DSLR cameras that can record exquisite, just really, really amazing videos. Because on the DSLR camera, you can put on any lens you want and get an amazing effect. You can get that field kind of effect where you have a blurry background and the object in focus. The quality of video that you can get from some of these cameras are equivalent to what you can see in television series programs, the famous one was the one from House. They used the Canon 7D for recording that whole, understand, one whole episode of House. And they are just amazing cameras for that. Now, it comes with a slight drawback. Obviously, there’s a learning curve to be able to use them properly but that can be overcome. The second thing that’s a bit of a hassle is these cameras, at the moment, can only record for 12 minutes, in 12 minute slots. That has something to do with the file format that it uses, so that’s a bit of a worry. But for YouTube, it’s really not an issue. Most of your videos are going to be less than 10 minutes in any case. Even if you do want to have a longer video, if you put out a 30-minute video, just have three 10-minute recordings. James: I’ve put some FastWebFormula ones out there that are an hour long, so at some point they give you a longer period. Gideon: You mean on YouTube? Gideon: Ah yes! Once you’re a partner, you definitely get that and also if you’ve had your channel for quite some time. Not everybody gets it. New channels, I think the limit is set on 15 minutes. Gideon: So once they see that you’ve been around a bit, you’re updating regularly, etc., they expand it to much longer videos. James: I’ve got an hour and six minute one there with Ed Dale, so we were pretty surprised when it let us load it. Gideon: Yep, that’s pretty cool. James: Okay, that’s good. We covered just about everything. There was just one thing you teased me with that I really have to ask and that is, you said if you know what you’re doing you can make a lot more than with the partner program. I’m just curious. Gideon, how do you make money with videos? Gideon: [Laughs] The way that I do it is I look at YouTube as a traffic generation strategy. I don’t necessarily make my money off YouTube itself. Sure, there’s partner income and sure, maybe sometimes I might do a video to an affiliate product or things like that. But really where the value lies for me is being able to use YouTube to get traffic to my site and then to turn that traffic into my own following, my own database. And that database is where I make the money, because I build a really responsive audience. From that, I have my own products that I promote to this audience. From that, I can promote also affiliate products. My best one yet is where I had four emails and one video, and I sold about $100,000 worth of product over a two-week period. Obviously, I was an affiliate so I only got a portion of that and there were refunds, but in terms of the sales value, the amount of product that I sold was close to $100,000. I was really pleased with it. That I couldn’t have done without the list. The other real way that you can make money with this, that I found really useful, is through collaborations and joint ventures. Once again, it’s sort of a delayed gratification strategy where you find other people on YouTube who already have a big following and then you team up with them. You do interviews with them or whatever to build a relationship. You leave comments on their channels to get their attention. And then eventually you do a collaboration or some sort of a JV together with them. We did this in the magic niche and I remember the way we did it was we typed in the word “magic” into the search box in YouTube and it would come up with a bunch of other videos and channels who were in the magic scene. We clicked on these channels and some of them would have 20, 30, 50, 100000 YouTube subscribers. The first guy we called I think he had over 20,000 YouTube subscribers. He also happened to have a website where he was building his list so he knew something about internet marketing. This guy had over 20,000 people on his email list. We called him up; we sent him a message through YouTube. We said, “Hey dude, do you want to do an interview?” We’re thinking he won’t reply and he’ll be like a drama queen or whatever with this big following. Within 24 hours he said, “Wow! You’re the first guys to ever ask me for an interview. I’d be more than happy to do it.” That guy became one of our top promoters later on when we launched a product. There’s another one that we found. He didn’t have so much of a YouTube presence but he had an email list of over a 100,000 people. He also became one of our main promotion partners, and a couple of others that we found through a similar method, just through YouTube. James: So it’s really like a super business card, this video thing. If you’re prepared to put yourself on camera, you’re going to build a much tighter bond and connection with people. Gideon: Absolutely James! I’m a bit like you in that sense. It’s not so much about the list size that matters. Obviously, if you’ve got a big list that’s good, but what’s extremely important is how you treat those people and the relationship that you have with them. The stronger that bond is that you have with people and the more trust there is, the better they’re going to react or respond when you ask them to respond. And that comes with time, it comes with building those relationships, but using the medium of video, it happens automatically. Just the other day, I got invited to speak in front of a group of people and the organizer, he’s been watching my videos for the last two years and he said, “Gideon, it feels like I’ve known you for two years. It feels like I know you, like you’re my buddy.” [Laughs] I’ve never met this guy. James: That’s like a Hollywood star. Gideon: [Laughs] A bit like that. James: Like we probably feel like we know Harrison Ford. Gideon: [Laughs] Well, I don’t know. When I look at movie stars, I see them as on a pedestal. I don’t see them as my buddy. I see them as a celebrity. Whereas with something like YouTube because it’s so much more personal, people can watch it from the comfort of their own home, they can watch it on their iPhone. James: Well now with Apple TV, you can literally watch it in the family TV room which is how we’re consuming media now. We don’t go to the video shop anymore. And YouTube looks like commercial TV. Gideon: And it’s getting that way. For most people, it’s just a face on a camera. It’s just a talking head. Often that’s what people just want – just the simple videos where there’s a real person behind the camera. When people realize that you’re just a real normal human being, that bond is just so much stronger. So by the time they get on your list, they already love you. [Laughs] They already feel like they know you. James: Gideon, give me an impressive stat from your magic channel or something that is sort of mind blowing when you think about it. Gideon: I just looked at this recently, James, and probably the coolest one I can give you is the total number of views that’s now sitting close to 12 million views. James: 12 million views! Nice! Gideon: There’s 22,000 people in YouTube who subscribe to our channel, so when there’s a new video uploaded, they get it in their YouTube feed so they’re very likely to click on it. James: What’s this channel called so that people can go and look it up? James: Free Magic Live, there you go. Gideon: What’s beautiful about that business, just to bring it back to how this is valuable to you as a business owner or a marketer, that business there is getting somewhere between 100 and 150 opt-ins to the email list a day. The email list size is probably over 46,000 now. Most of the traffic there has been through YouTube for that particular business, so it’s very powerful. If you’re wondering about Free Magic Live, me and Jay, Jay did that together as a partnership. About six months ago or so I told Jay, “Jay, look, I think you’re ready to run this business yourself.” For the latest stuff you see on there now, that’s Jay Jay’s work. He has done really well to take it to the next level but it’s going really well obviously. James: People have done well, I imagine, partnering with Gideon. Now speaking of sharing some more tips, are you going to give us some ninja magic at FastWebFormula 3? Gideon: Oh, absolutely! There’s a ton of these stuff. I created a course on this a while ago and [laughs] I was a little bit blown away on two levels. One was the number of videos that it took me to create the content and also how long it took me to create these videos. There’s basically a ton of information that I want to share with people coming to the event. As you can tell from this interview, I don’t mind sharing this information because it’s so powerful and I’d love to share some more really amazing ninja strategies when people come and see me speak at the event. I can’t wait! To me, this is the most exciting development, not even on the internet but just in my entire life – this whole online video thing. James: There’s no doubt that people can now create their own content, get their own traffic, have whatever brand or passion or money-making thing they want to do, it can be done with video, with podcast. It’s just such an exciting time to be alive. I’m looking forward to that presentation. Gideon: Me too, James. I can’t wait! James: Well, thanks for all your tips and sharing information. We welcome comments underneath this podcast and Gideon will come and check it out. So thank you very much and I’ll catch up with you soon.